Vaccines are modern medical marvels that have eliminated a number of deadly diseases over the years and help alleviate the symptoms of other illnesses. Despite these clear benefits, the anti-vaxxer movement and lack of awareness are leading to a widespread recurrence of diseases that were once dead, such as measles. According to WHO and UNICEF estimations, 1 in 10 infants worldwide didn't receive any vaccinations in 2016, leaving them vulnerable to fatal illnesses like diphtheria, tetanus and pertussis. In addition, 6.6 million infants that did get a first dose of the DTP shot didn't complete the other two doses in the immunization series. As 64 out of 194 WHO Member States struggle to meet basic vaccination targets, those who are most susceptible to diseases are at critical risk. In response to the state of anti-vaccination, more countries are approving legislation to make immunizations mandatory for children and young adults. One in 10 infants weren't vaccinated last year. Countries that have propositioned and approved vaccine legislation have been confronted with a mix of public opinions. 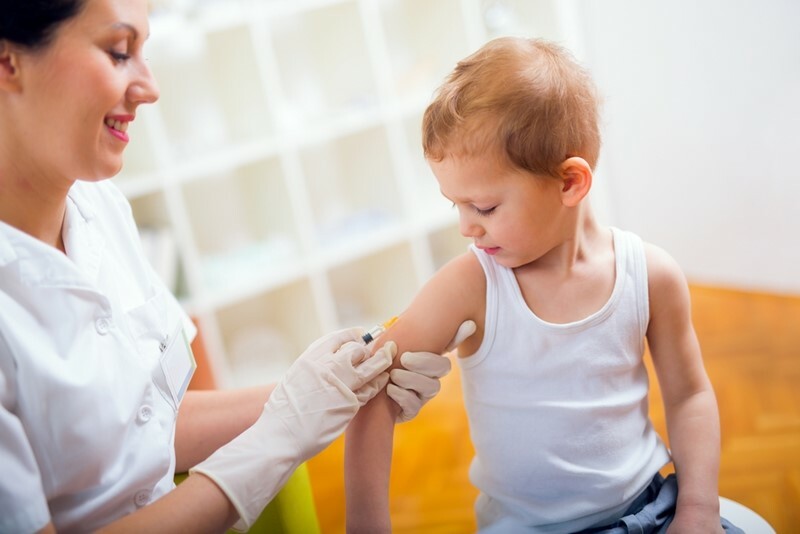 Italy's parliament recently gave a final approval to make childhood vaccinations mandatory for children up to age 16, providing a shield against serious diseases that are still among us. According to U.S. News and World Report, during the debate, Italian health officials experienced a measles outbreak after it was revealed that a nurse hadn't really been vaccinating children. Despite the dangers, protests sparked around the move, with objectors asking lawmakers, "Don't touch our children." After Italy's approval, France also announced that parents will be legally obliged to vaccinate their children starting next year. The 11 compulsory vaccines are all universally recommended by health authorities, and would help head off the measles outbreak that's predicted to spread across Europe. French Prime Minister Édouard Philippe noted that it was "unacceptable that children were still dying of measles", despite the vaccine being easily accessible, The Independent reported. Australia is going a step further to roll back exemptions and ensure that children are healthy. The new laws would ban unvaccinated children from enrolling in preschool and child care centers in South Australia. Any center that admits an unvaccinated child would receive a $24,000 fine, and exemptions on philosophical or religious grounds are no longer accepted, according to The New York Times. "Gaps in safety knowledge could be a major reason why people are against vaccines." While vaccines are important, recent protests show just how much misinformation has been spread about inoculations. According to a survey by the Princeton Survey Research Associates International, one-third of parents believe they should get to choose whether their kids are vaccinated. This is a dangerous mindset to hold, and gaps in safety knowledge could be a major reason why people are against the treatments. Doctors must thoroughly inform patients of the actual risks of a vaccine - i.e., a sore arm - but show that links to conditions like autism have been disproved. Vaccines could be the only defense against past diseases and future superbugs, and the only way to preserve herd immunity is better education and immunization programs.